By utilizing our IRIS Hyrail Vehicle, Penetradar is able to mount their antennas to inspect railways, the ballast beneath and any surrounding structure such as a tunnel wall. Penetradar's system developed for their roadway tunnel inspection can be utilized on railways by installing the system on a hyrail testing vehicle. More detailed information about how this tunnel inspection system works can be found on our tunnel and wall inspection page. 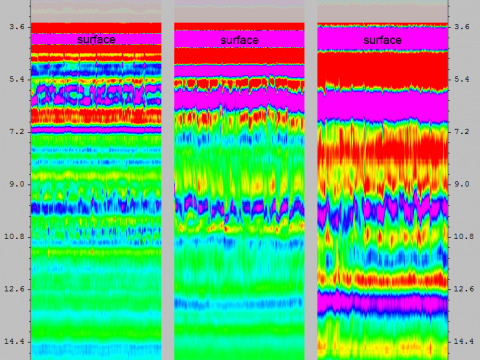 This system employs ground penetrating radar (GPR) and high resolution imaging (HRI) technologies to detect and identify many types of tunnel liner/wall defects. It is entirely mobile, deployed quickly, and the process of collecting data is performed rapidly, thus, avoiding prolonged tunnel closures, and most importantly ensuring safety. This system, which is the first, if not only, commercial system of its kind, produces comprehensive and quantitative information on roadway or rail tunnel liner/wall condition. 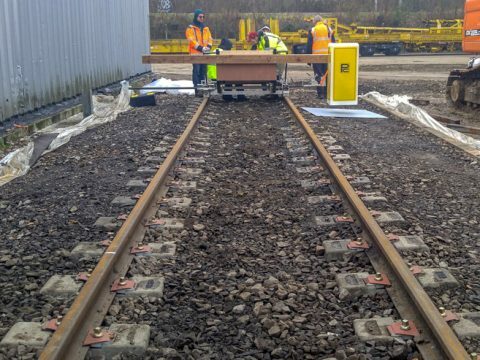 Rail tracks are conventionally positioned on ballast for reasons including economy, rapid drainage, and high load bearing capacity. As ballast ages, it is progressively fouled by fine-grained material that fills the void spaces between the aggregates, thereby inhibiting track drainage and reducing ballast life. The structural integrity of seriously fouled ballast will lead to track instability and, ultimately, train derailments. For this reason, it is crucial that fouled ballast be detected as early as possible. Above shows a multiple frequency GPR horn antenna setup on the front and rear of the vehicle. 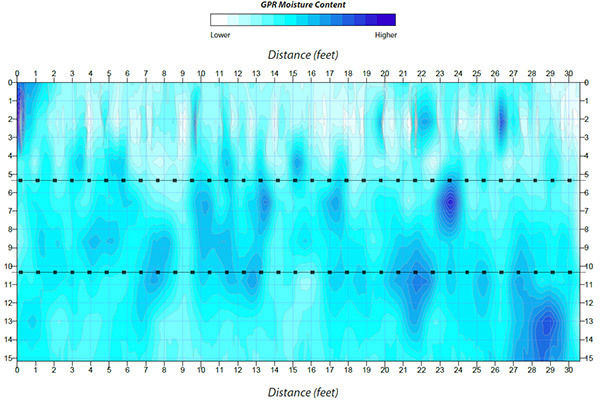 Since this antenna setup is not ground contacting, data can be collected at high speeds. High Resolution Imaging can also be provided to show the condition of the railway and surrounding areas. 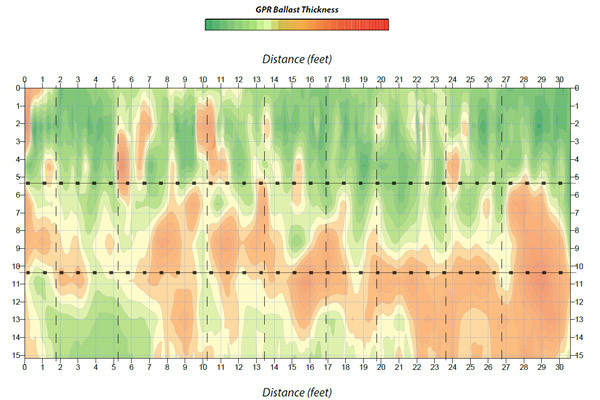 Below are a sample of some of the map layers generated from the GPR data. 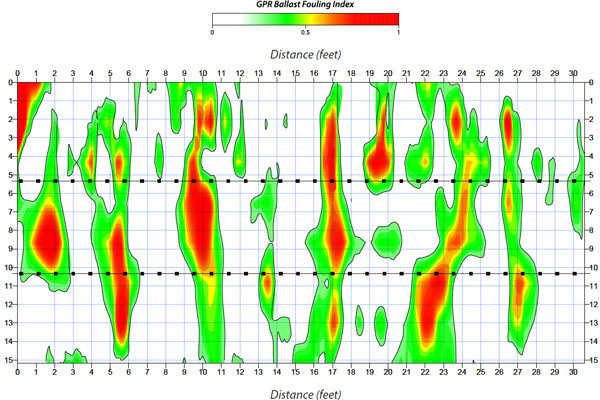 In addition to a graphical representation of mappings, the GPR information can be provided in an excel format, showing ballast fouling index and depth of fouled ballast, moisture content, ballast and subballast thickness (for each GPR antenna scan) versus mile post or station location on any desired increment needed.